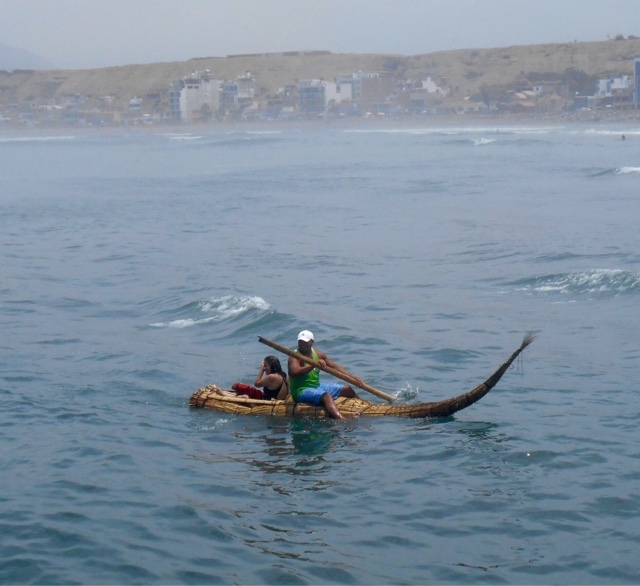 20 minutes from the colonial centre of Trujillo in Peru lies the fishing village of Huanchaco. 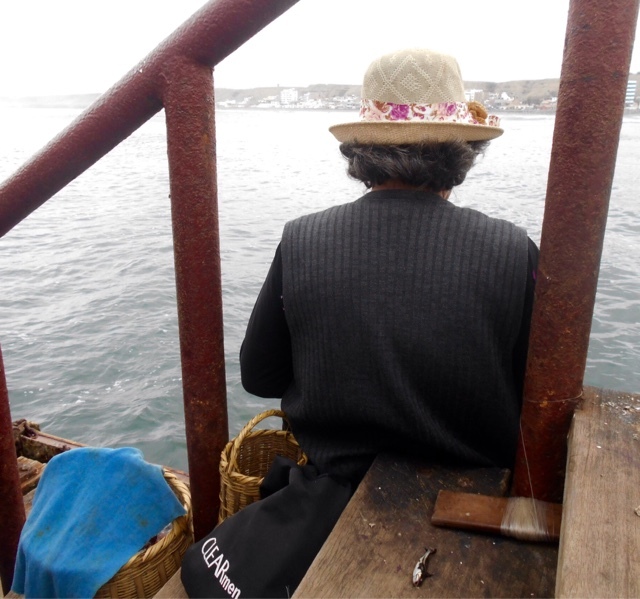 A traditional Peruvian fishing town famed for its unique methods of catching fish. A four hour bus journey through more wilderness and desert from Chiclayo brought us to the wide bay of Huanchaco. Where we’d spend a few days fishing in Huanchaco, Peru and mingling with the locals. Huanchaco as mentioned is a small fishing town on the Peruvian coast. The closest large notable town is Trujillo so technically Huancahco is Trujillo’s beach. Huanchaco is around 8/9 hours north of Peru, in between Chiclayo in the North and Lima in the South. We travelled south to Huanchaco from Chiclayo after leaving Mancora Beach in the North of Peru. 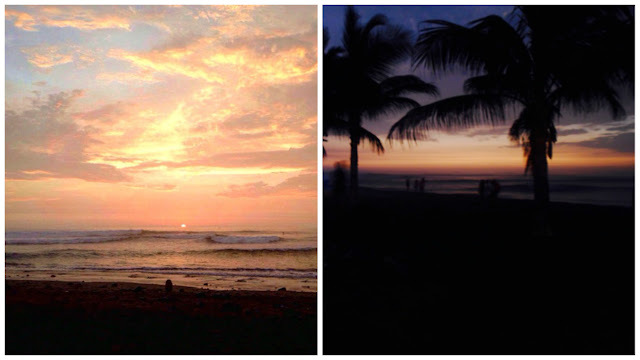 We left Mancora by bus and travelled down the Peruvian coast watching pacific sunsets as we went. It is doable to get from Mancora Beach to Huanchaco in one journey. However, it would be extremely long so I recommend a stop off in Chiclayo like we did. Chiclayo is worth a night or two as Peru’s 4th largest city. We visited the pyramids of Tucume whilst in Chiclayo which is worth a day trip on your way to Huanchaco or Trujillo beach. Huanchaco reminds me of my childhood and weekend trips to seaside towns in England. The sand is dull the water is freezing and the beach is littered with rocks. The fishermen sell boat rides on their reed boats to make some extra Soles once the morning catch is over. Think of a canoe crossed between a surfboard made from reeds. 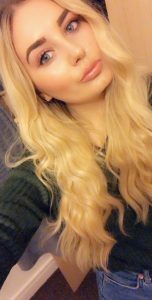 They are completely unique to this area and come with their own ancient myths and special traditions. 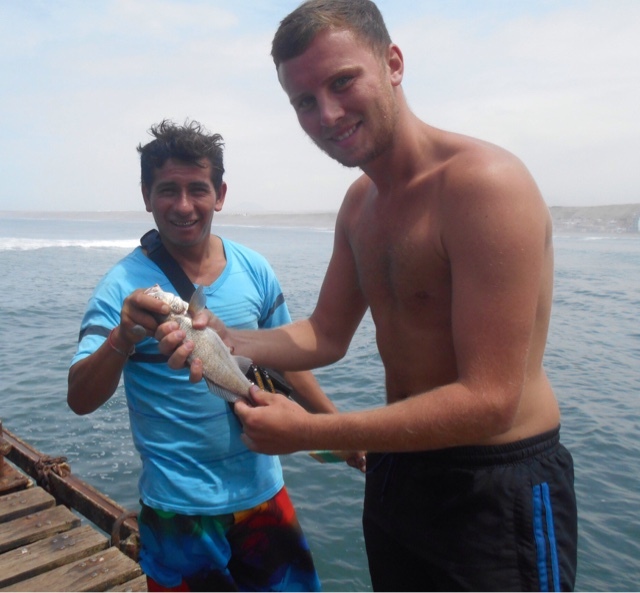 Festivals and holidays are dedicated to the fishing in Huanchaco, if you visit during the right time of year you may even catch the night fishing. The streets of Huanchaco, Peru are filled with stalls selling every bucket and spade combination in every colour and size imaginable. The uncharacteristic buildings sell souvenirs and enough ice-cream to eat until you pop. I can only speak for the days we spent here but I’m sure even on the sunniest days it feels overcast in Huanchaco. There is no particular pull factor that draws people here, nothing spectacular, nothing magnificent. There is actually nothing remarkable about Huanchaco, just like there is nothing remarkable about Blackpool yet people will never stop visiting. Maybe it’s tradition, maybe it’s something else. Whatever it is, it’s special! There are a number of Hostals in Huanchaco, however I would recommend Casa Fresh. Hostal Casa Fresh is a great small hostel on the seafront in Huanachao. A 10 minute walk along the ocean will get you to the Pier of Huanchaco and other amenities. Rooms are cheap with 4 bed dorms at roughly $6 per night. The reception is friendly and helpful and there is a sociable terrace where many people sit to watch the sunset. Casa Fresh is clean enough and in a prime location with the main bus stop to the town of Trujillo just outside. Casa Fresh is a great budget place to stay when in Huanchaco. It’s also a great place to socialise with other travellers. 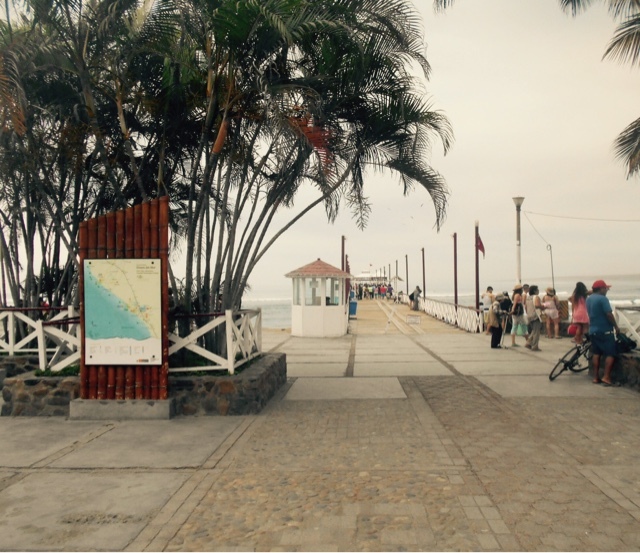 The pier in Huanchaco is the heart and soul of the town and one of the top things to do in Huancahco. 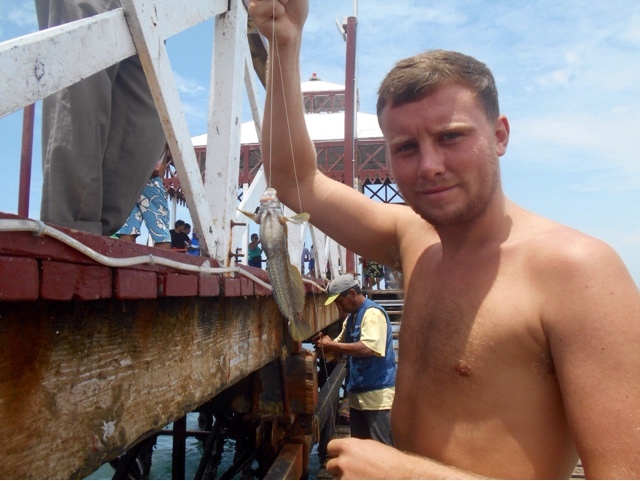 Locals and tourists alike throw in lines and hope to get the biggest and tastiest catch. Local men sell wooden boards with hooks, line, weights and bait. Everyone can have a go at fishing when by the pier. Huanchaco funnily enough has tapped into a very successful and lucrative form of tourism here. There isn’t one person who doesn’t get involved in the fishing fun. It just goes to show even the most unlikely of places can find its niche. Spending time fishing and on the pier means you’ll naturally meet the locals. Learn what you can about the culture and history in this part of Peru from the locals. 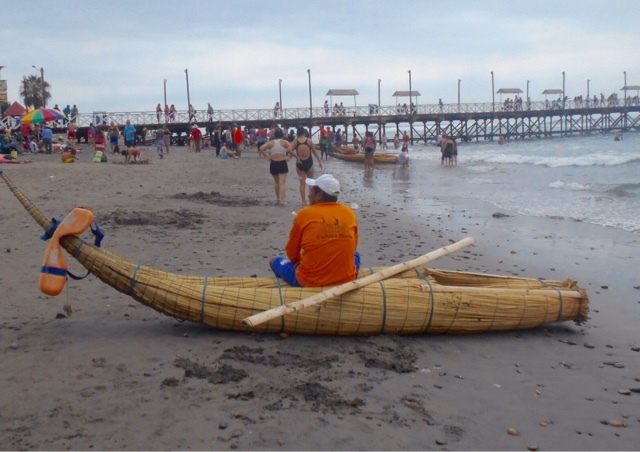 They are always keen to talk about the unique boats and fishing techniques in Huanchaco. Explore the local area and get off the beaten track a little when staying on the beach of Trujillo. 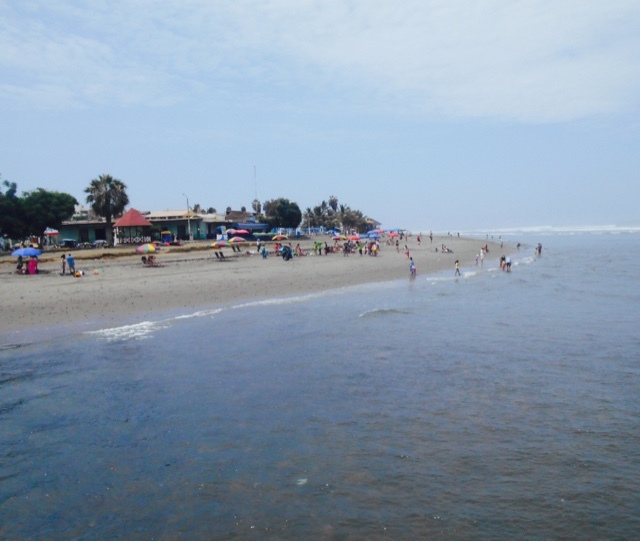 Due to it’s proximity to Trujillo, Huanchaco is essentially Trujillo beach. So, whether you are specifically visiting Huancahco or Trujillo you’ll want to ensure you visit both locations. The busy town of Trujillo is filled with colourful colonial architecture. The busy Plaza de Armas is home to the photogenic Freedom Momentum and worth a visit no your way to the bust street of Paseo Pizarro to grab a famous Peruvian Menu del Dia. Expect to pay local prices in Trujillo as it is usually sheltered from the level of tourism in Huanchaco. 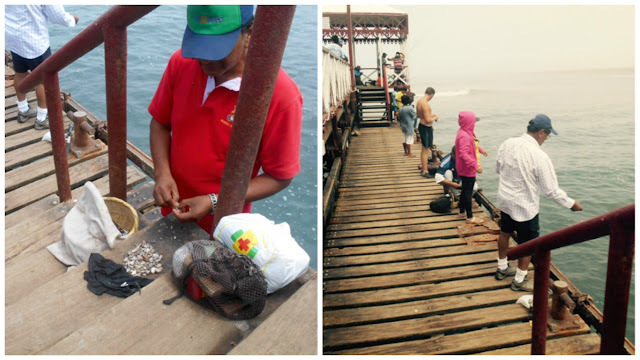 Take the chicken bus from Huanchaco/ Trujillo beach and set aside a morning only to explore. The streets of Trujillo are small and colonial. This destination can be explored in a few hours, but it’s easy to get lost in the shopping and local hustle. The bus from the beach to Trujillo city will cost between $1-$2 and leaves from the main road. The stop is outside Hostal Casa Fresh. Taxis will cost roughly $5-$7 if you would prefer. We regrettably passed on Chan Chan as we had recently just visited Túcume from Chiclayo on our way towards Huanacho. Similar in size and appearance both of the pre-colombian sites are hot and desert-like. If you plan a visit prepare in advance and take enough water to save you from the sun. The UNESCO World Heritage Site of Chan Chan is a more established architectural site than Túcume. Túcume is still very much undergoing excavation work. If you are looking for a day trip from Huanacho add Chan Chan to your list. The public bus that goes to Trujillo can drop you off outside the entrance of the site. Huanahco is a great place for budget travel as it is a very budget friendly destination. Popular with Peruvian families and locals rather than backpackers, the prices reflect this. As Trujillo beach is a popular holiday spot for locals the prices are relatively the ‘local price’ which is sometimes unknown in tourist hot spots. Menu Land – a cheap restaurant offering meal deals and Menu del Dias the food is delicious and the service is incredible. Expect to pay between $2 – $4 per meal with a drink included. Restaurante Mococho – a well priced nice setting that offers Asian foods such as Indonesian cuisine. Expect to pay $8 for a meal. From Mexico downwards we’ve witnesses weekends on the coast. Families from the cities bring Granny and Grandad to the beach, usually with a large cool box and a crying 5 year old. This is the story in Huanchaco, photographers overcharging for family holiday snaps, restaurants serving cut price fish and the happiest Peruvian faces I’ve actually ever seen. 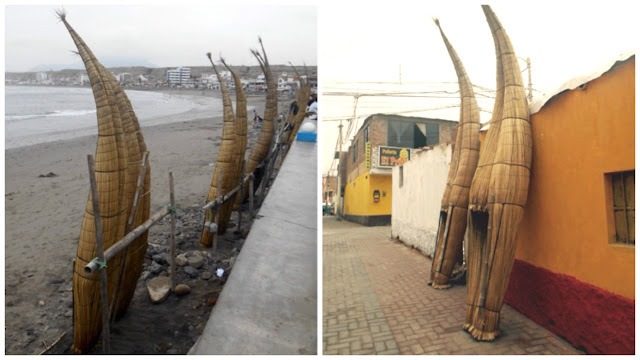 People are content with Huanchaco and why shouldn’t they be. It’s the oldest and most simple form of tourism I can think of, bucket and spade days on the coast. Throughout history as a species we’ve spent countless hours on unremarkable sands just enjoying being by the ocean. It’s probably ingrained in us as a race. I was always going to enjoy Huanchaco because of its proximity to the ocean, but I never expected to enjoy it as much as I did. I’m imagining it’s probably something to do with my own nostalgia of cold, wet weekends spent on beaches in the North of England and I can’t count how many times Jamie said the word Cornwall during our time in Huanchaco. We had no real reason to visit this little fishing spot but I’m glad we did. I think the happy Peruvian holidaymakers alone are enough to make even the most cynical happy in a place like Huanchaco. 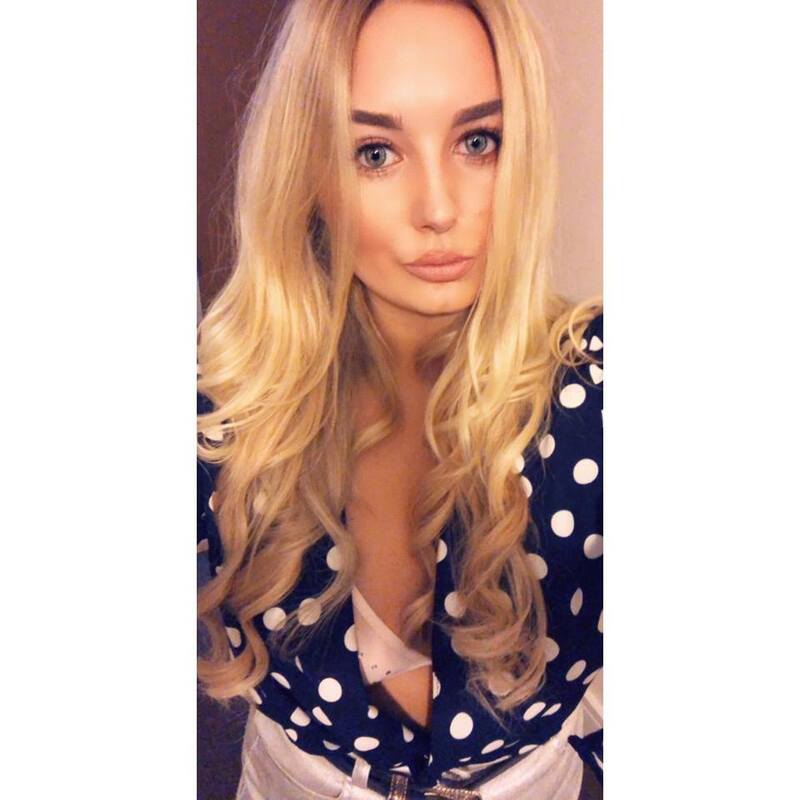 A 20-something travel blogger based in Liverpool. 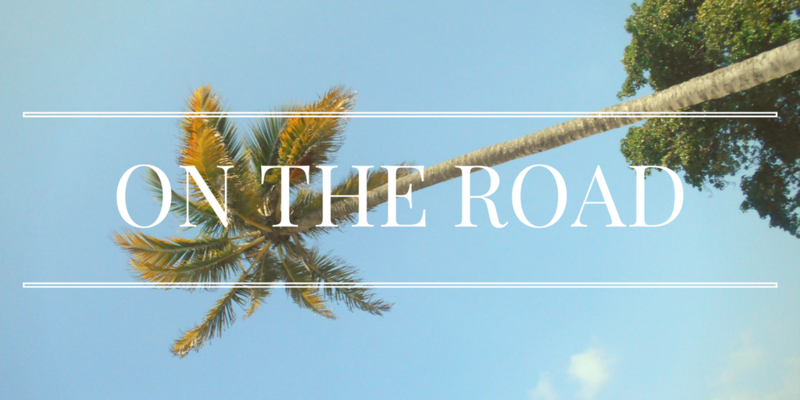 Covering all things from Latin America to Liverpool local guides and everything in between. Off to fishing over a weekend is a privilege we metropolitan dwellers can only think of. This little town seems quiet lucrative for a weekend break! Wow what a wonderful insight into such a unique bay! I've never seen anything like those fishing boats, so that had me a bit wide eyed 🙂 I've never been to Peru, or its surrounding countries, so seeing all this is like going on a holiday myself there! I like your line that you really didn't have any reason to go. We're going to travel the Americas next year, so I'll definitely look into Huanchaco. I'd never heard of it before! Do you think people who don't like fishing would still like it? It's definitely a place worth visiting. Peru is an amazing country so much culture! Yeah similar concept! It's what Huanchaco. is famed for, thanks for your comment. Thanks for such a great comment. I completely agree with you. It's so nice to feel part of the Peruvian community and not a tourist. Huanacho is so small and friendly and truly worth a visit. It's a great place to spend a few days, have a few conversations and take some time to reflect and think. I'm definitely glad we just stumbled upon this small fishing town. I can relate. I spent most of my childhood staring out at the Atlantic that was too cold to actually swim in! On the coast of Massachusetts, New Hampshire & Maine, the water is just too cold for my liking, but it has never deterred me from spending time on it's banks!